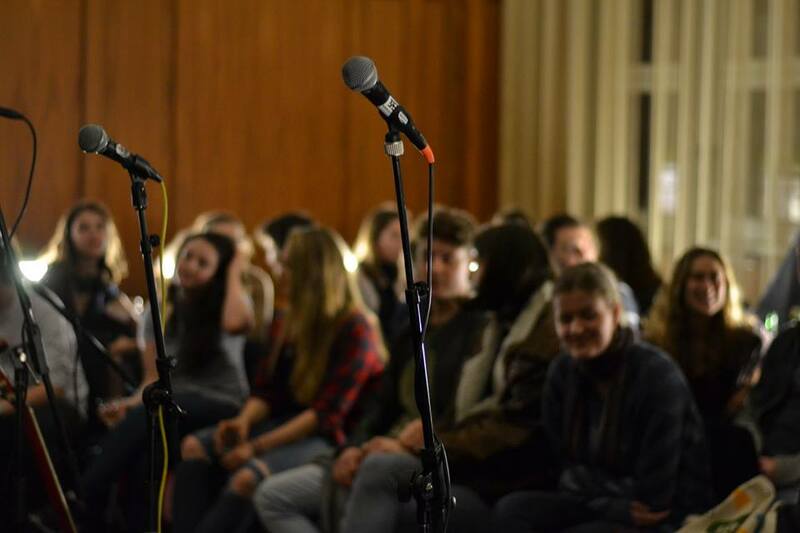 Library Sessions is an event run by RASL students. 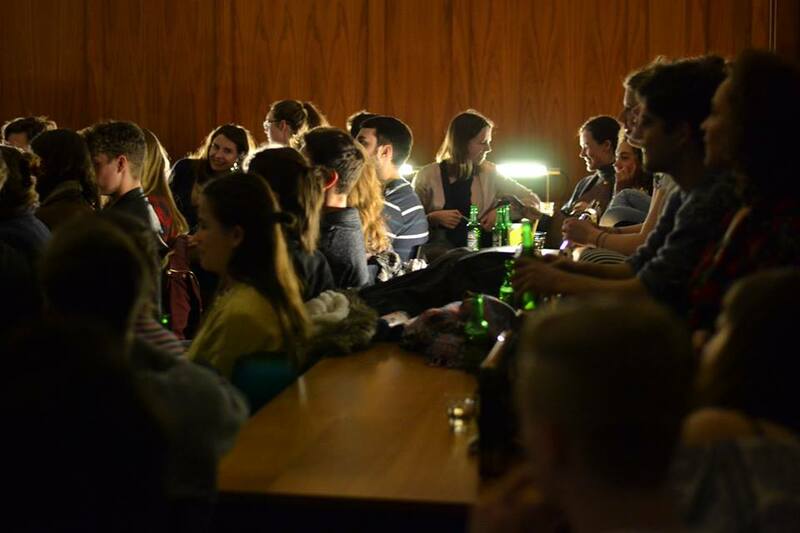 RASL Student Assistant, Jasmijn van der Linden, discusses the first event in the EUC library. Image Credit: RASL student Gabija Bubnytè. Combining forces from all directions, Double Degree student Lucas Vermeer introduces Codarts into EUC and together with the Music Committee’s chair Jonas Nabbe, Arts and Cultural Programme participant Eva Aarts and myself, representing the Rotterdam Art Science Lab, hosted the first edition of the Library Sessions. What started out as just an idea on an ever growing to-do list, turned into a buzzing event within just a few weeks. Music is a special kind of art. But, in today’s society, going to a concert always means filming the artist to show others and it becomes less about the live experience. We want to create the opposite: a concert as live, intimate and direct as possible, says Lucas. 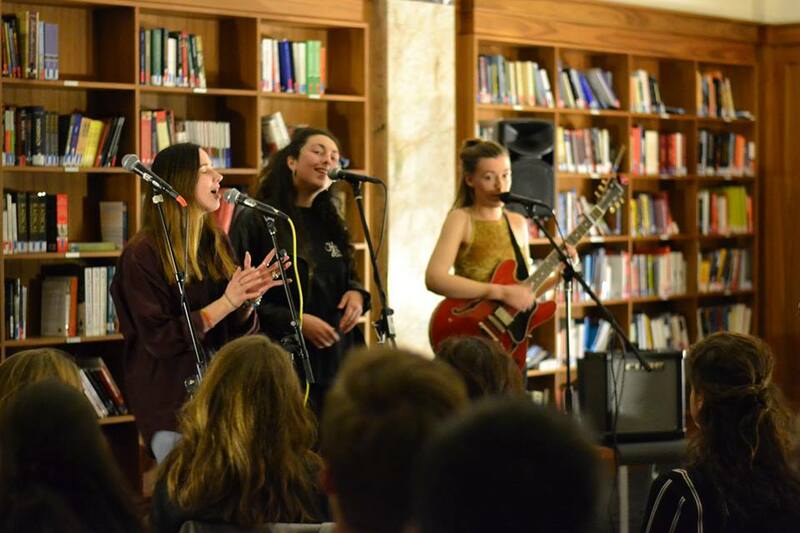 The normally silent and studious library was transformed into an cosy living room for one night where several talented Codarts students performed their own songs and a small intermezzo was provided by two talented EUC students: Joséphine with a voice that sounds like butter melting on toast and Nico whose transcendent words take you far away. Eline Mann opened the event. With a voice ripe beyond her years and a cherry-red electric guitar she captivated the audience as soon as the first note left her lips. Democratically voted to perform without microphone, Danique van der Vlugt performed a YEBBA cover of the song My Mind with such raw integrity it left you wondering if it hadn’t been her own song. This song is about a relationship that doesn’t work out. Like they always do, says 18-year-old Daan Harmsen before he plays his first song. His most humble appearance couldn’t prepare the audience for the emotions his deeply soft voice brought forth. He was followed by Amber, a psychology student and ‘hobbyist’ performer, who decided to give a go at Stevie Wonder’s seemingly impossible Ribbon in the Sky and blasted the high notes through the room with surprising ease. While Maik, one of JET’s backing vocalists, performed a Radiohead cover, a few audience members mouthed along the words. It was a night for firsts and lasts: Sophia performed her debut single Daydreaming and played the guitar for the first time in front of an audience and JET performed for the last time with her band. Though dressed modestly, JET’s sultry voice and rockstar attitude ended the night on a high note – in both senses of the word. 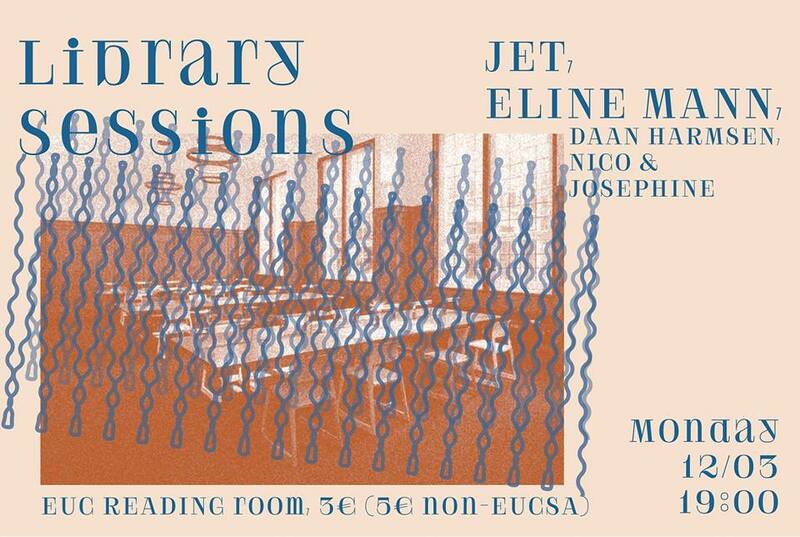 For the Library Sessions it was also a first, but after the overwhelmingly enthusiastic response from the audience, I think it’s safe it to say it will not be the last. Author and Image Credit: Jasmijn van der Linden.